I mean, aside from naked Skarsgard gifs, your day won’t get any better than this. Thor: Ragnarok director and beloved crush, Taika Waititi stopped by ET for a goofy little chat, and with one little question — Which MCU character, besides Thor, would he like to do a solo movie with — he was off in imagination land. Spontaneously coming up with a ludicrous-yet-wonderful storyline, he’ll have you wishing for the full version in just over two minutes. 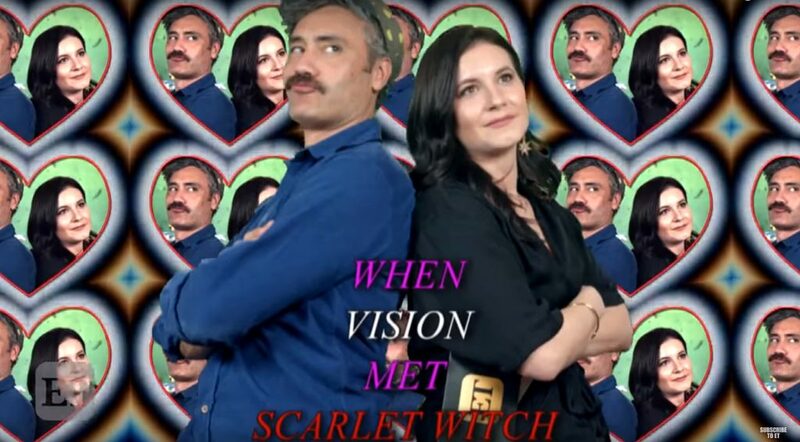 So, not really a rom-com — a fam-com, with an ill-fated romance between conjoined at the back Vision and Scarlet Witch. Meet me at the theater, eh?